Promo: Join their Ultamate rewards for customers.. Make sure you click on "sign me up" under want to be rewarded? Get over $250 in coupons and free beauty products through out the year. - Free Beauty Products On Your Birthday. Online Coupon: Enter Coupon Code: 504927 at checkout. Printable Coupon: Print or show on mobile device, save 20% on any one item in store, exclusions apply. In Store, print or show on mobile device for a 20% discount on your total purchase. Receive a 20% discount on any one hair styling tool at your local Ulta store. Print coupon and save $5 on any $15 L'Oreal cosmetic, skincare, haircare, haircolor or suncare purchase. Save with Ulta coupons... Ulta Beauty is the largest retailer of prestige beauty products. Their stores offer countless brands of cosmetics, fragrances, haircare and skincare products, bath and body products and salon styling tools as well as a full-service salon. 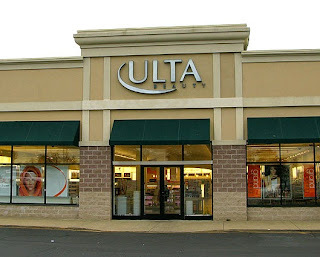 Visit Ulta Beauty, indulge and be pampered. Ulta also gives free beauty product samples with every purchase.